FYI, NoHo Folks Create Web Series, By The Way. The NoHo Arts District dot Com team always looks to feature fun, creative and talented North Hollywood folks. We know the NoHo arts community is home to 20+ theatres, dance studios, recording venues, great restaurants and bars and lots of fun. But what we don't see even though it is everywhere, is filmmaking. North Hollywood is rich with creative movie and TV makers but also makers of unique web series. The recent The Indie Series Awards at El Portal shows just how big this genre is getting but also that the NoHo Arts District contributes to this art medium. We are fortunate to have chatted with locals Andy Goldenberg, creator of Bad Timing, and Jerry White, creator of The Marriage Counselor. We asked them some questions on their web series and also their advice. Let’s give a big NoHo round of applause to these two and their teams for making art for all of us to see, all over the world, on our laptops, ipads and phones. 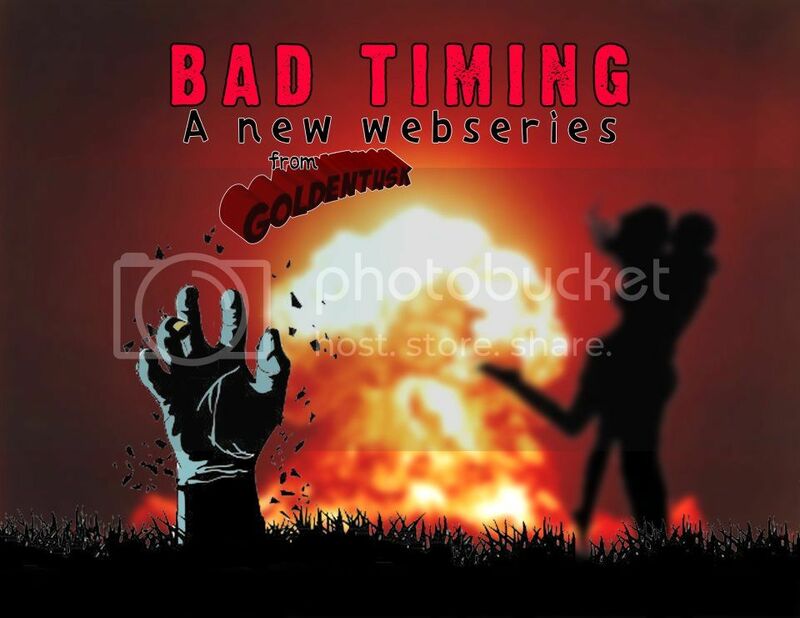 BAD TIMING is a comedic web series that follows an adorably awkward IT guy who finally gets a shot with the girl of his dreams - shortly after a zombie apocalypse. It's THE WALKING DEAD, if it had been written by a young Woody Allen. Andy Goldenberg: "We ran a successful crowdfunding campaign for Season 1 last year, and our plan is to raise even more money for Season 2. This season finale ends on a cliffhanger and we're pretty confident viewers will want to see the exciting surprises we have in store for our characters. There are at least three more seasons of BAD TIMING that I want to develop, so I haven't focused on creating any new longform web series. I had previously collaborated with my director on his series called THE LOFT, and hope to release that on the Goldentusk channel next. Other than that, I am occasionally releasing one-off sketches on my own channel and partnering with other creators on their material. I wanted to limit the episodes in the first season to five minutes because of a constant shortening of attention span, but our fans have repeatedly commented that they want longer episodes. The fans win. My advice: We've seen your story before. It's not original. We've never met your characters, though, and their experiences and point of view is going to be what makes it watchable. Focus on character development and your viewers will forget that it's just another _______ story. I've been making movies since I borrowed my dad's camcorder at the age of 7, so it only makes sense that I was one of the early adopters of internet video sharing. My sketch group The 11th Hour's THE OUTTAKES OF THE CHRIST was lauded as one of the top short films of 2004 by iFilm.com. By 2007, my theme song parodies on YouTube had helped me rank among the Top 30 Comedy Channels of All Time. I collaborated with ManiaTV.com and National Lampoon on an internet sketch comedy show, which led me to the world of branded entertainment, creating videos for Dice.com and Yellow Pages/AT&T. My Goldentusk channel recently joined forces with Collective Digital Studios, boasts 48 million views and 52 thousand subscribers, and I was one of the first Creators invited to produce content at the new YouTube Studios in Los Angeles. My web series, BAD TIMING, was created to showcase my talent more than the co-star and guest star credits from my tv/film work. Nina Terrero from Entertainment Weekly just called it "the best zombie webseries everrr", one of "the coolest, quirkiest, and absolute weirdest new web series." "
THE MARRIAGE COUNSELOR is a dark comedy that dives us into the not-so-clear world of the "counselor". Season 1 introduces us to five couples dealing with many differences and, after meeting the counselor, probably wish they had just stayed home. Suffice it to say, the counselor's antics are less than helpful and, if he keeps it up, someone could get hurt! What are your plans for your webseries? We are currently in talks with JTS.Tv to distribute the show. What would you do differently for your next web series, will there be another? We would probably make the first season a couple episodes longer. 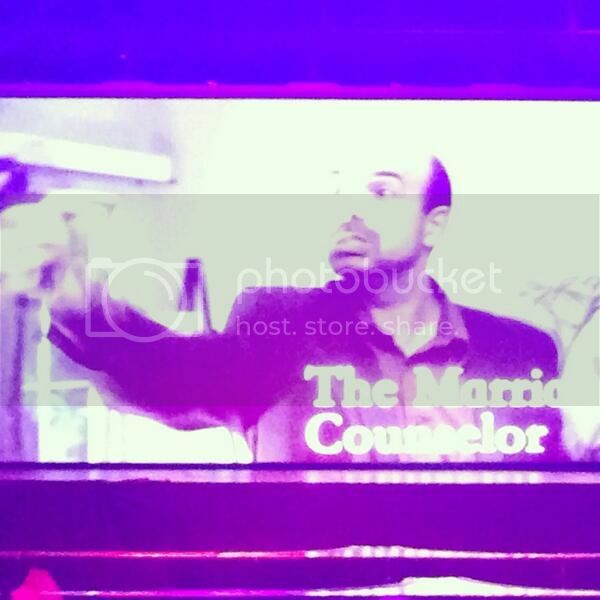 We are about to start shooting another series and hope to continue The Marriage Counselor into season 2. We already have 7 episodes written for a second season. Any advice for up-and-coming film and TV show creators? Make the show you want to watch. Tell us your background and what brought you to create your series. I met the writer of the series at a 9-5 job that we both worked at. We decided to develop it from a short film to a webseries over the course of a year. After the show was finished we went into business together and we have continued to create content since. Our company Moondog Media is now in production on our first feature film.